I managed to get some good painting time in today, unfortunatly due to the combination of an increase in hockey, as well as having to do some real teaching work to pay the bills my painting time has been decreased somewhat! Although, the trade off is that it should give me some more spare moneys to do a Perry order, so Cav are definitly in the future! Anyway, on to the painting. 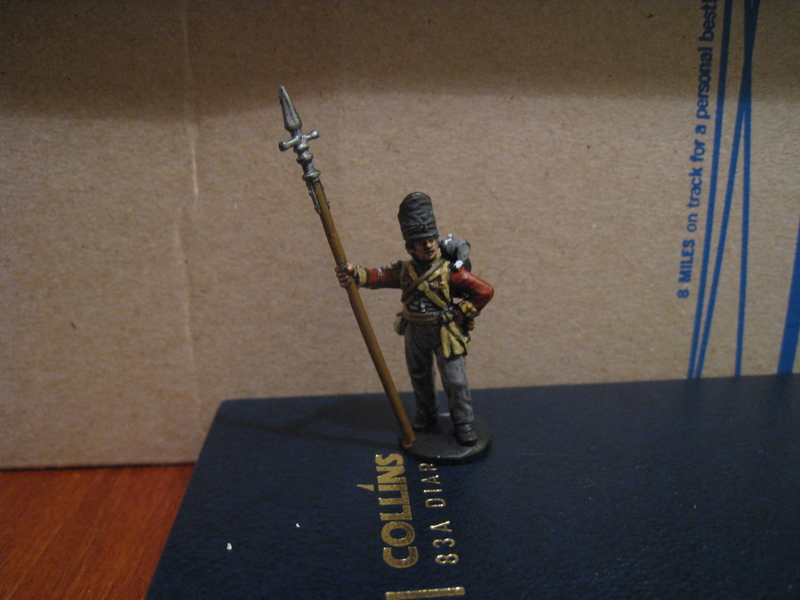 I am over half way through painting the 27th regiment of foot (a medium lasalle unit). The 27th have buff coloured straps and facings, which I initially thought would speed up the painting time for the unit (less white = good), but I am not so sure it did! The 27th were a pretty exceptional regiment at Waterloo, getting mentioned by the Duke himself in dispatches as one of the key points in his central line! I took the pictures a bit too late in the day, so they are dark! 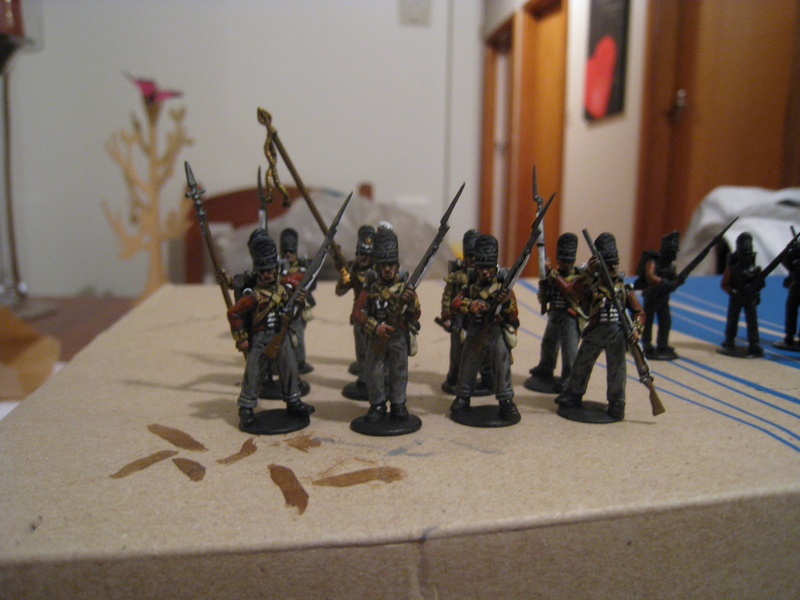 I will have to get some proper ones done tommorow once I finish the whole unit. You can see the next few guys in line behind waiting for their next colour, I am hoping to get those guys finished off tommorow. This is the unit's Sergant. It is pretty clear to see the Buff colours, it makes for a heck of alot less white! I was initially pretty unhappy with the way they looked, but now that I have left them, and come back I think that I actually like my take on the Buff! I have been assembling tonight as well, the first of my Highlander units must be next on the painting block. My first impressions of the Victrix plastics are that they are significantly more brittle than the Perry's; but also the Perry's line just seem to be in a more natural poses, the Victrix are just a bit... blocky? Not sure. Perhaps I will change my mind once I get them painted? Not sure. I am hoping to start painting them over the weekend.